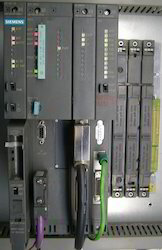 Supplier & Trader of Programmable Logic Controller & Refurbish PLC. 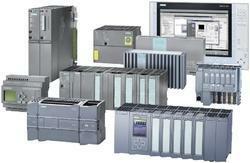 Our product range also comprises of Control Equipment and Siemens AC Drive. We offer optimum quality Programmable Logic Controller to our valuable customers. Appreciated among our customers for their sturdy construction, easy installation and longer functional life, these panels are manufactured from quality assured materials. Offered by us at industry leading prices, these programmable logic controller panels are highly appreciated among our customers. We are one of the biggest stockist of Refurbish PLC. We can provide all types of refurbish PLC modules ( CPU, IO cards, etc)of any make like Siemens (S5, S7 etc), Allenbradely, Schneider etc. With the support of most recent instruments and supplies, we have possessed the capacity to offer ideal quality Refurbished PLC for Automotive Industry to our regarded clients. With the end goal of computerization of different modern procedures, these renovated programmable controllers are utilized. Owing to their superior and simple establishment, these programmable controllers are profoundly requested. 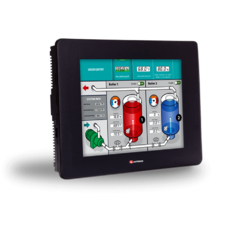 Looking for Programmable Logic Controller ?